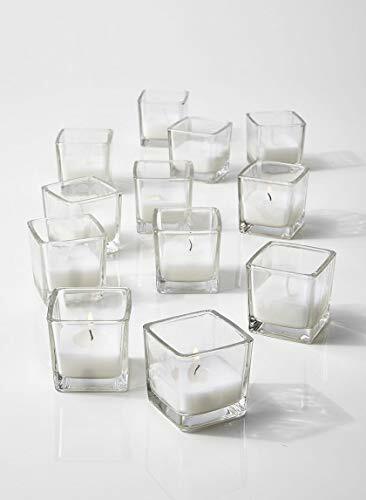 You'll love the look and warm glow the Serene Spaces Living 10-Hour White Unscented Cube Votive Candles provide in your home, in a spa or at a wedding. These glass cube candles provide a warm ambient light, yet their design is so simple that they maintain a sense of elegance. Each white unscented candle will burn for 10 hours, and the entire set contains 12 candles, giving you plenty of options for putting these candles to use. For simple designs that provide the relaxing atmosphere you want, count on products made with love from Serene Spaces Living. If you have any questions about this product by Serene Spaces Living, contact us by completing and submitting the form below. If you are looking for a specif part number, please include it with your message.